Culture. How we do things around here — how we treat each other, customers, and suppliers. It’s not just about communication. And yet it has everything to do with communication. These and other elements make up an organization’s “culture ecosystem.” For leaders, each is a potential source of influence. In fact, each one is already influencing your workforce, for better or worse. The key is: are you are using these sources of influence with intention? Create or shape STRUCTURAL elements to make it easier or even automatic for people to put a certain behavior or value into action. Example: Maintain a scoreboard in a visually engaging format where people will frequently see the results/progress. 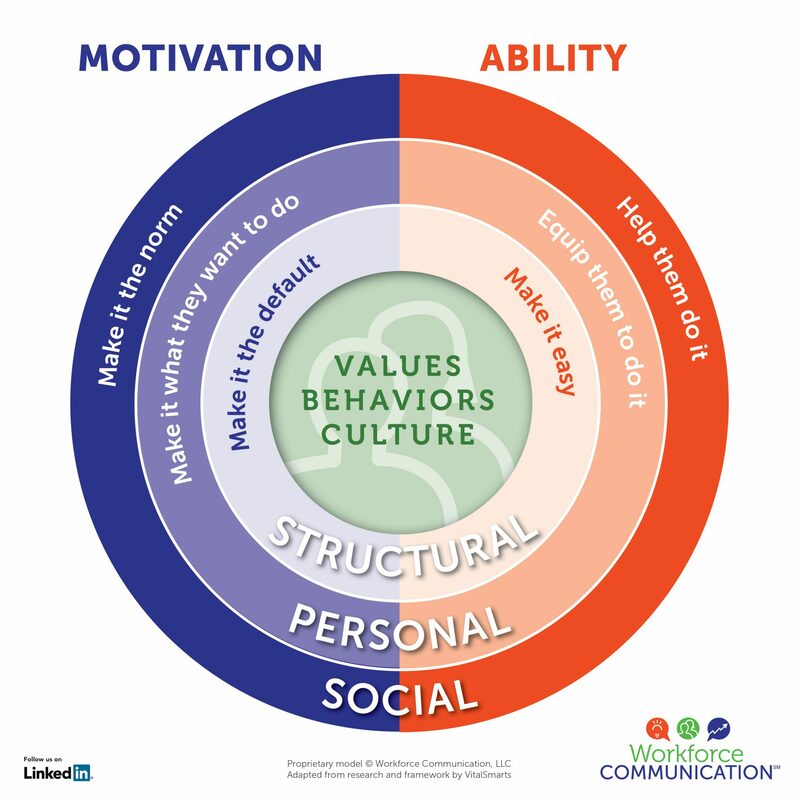 Build PERSONAL motivation and ability using communication and education strategies to connect the behavior/value with intrinsic motives and equip people to actually do it. Example: Tell a meaningful story, followed up by a series of fun how-to videos. Drive SOCIAL motivation and ability using other communication and influencing strategies to enable the behavior/value and make it the norm. Example: Engage and equip managers and opinion leaders first. 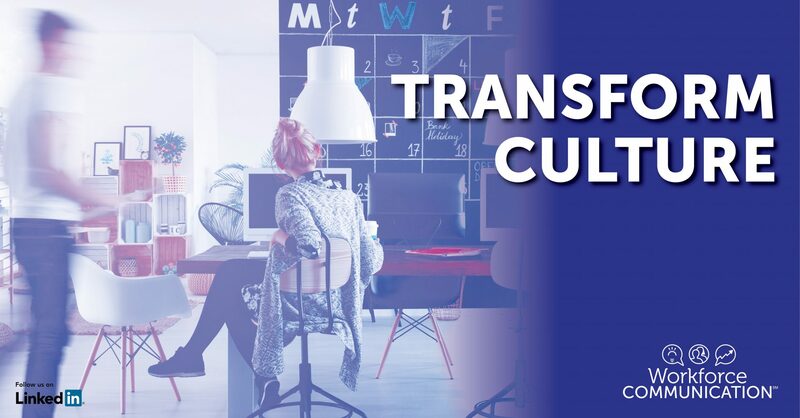 How the structural, personal, and social elements of culture are communicated — by the company, leaders, and key influencers — strongly influences whether the desired culture is achieved. In Part 2, I’ll discuss six keys to leadership communication that successfully shapes culture.